If someone made me King of the World for just a day, I would make convenience stores speed up their gasoline pumps. Maybe it’s just me, but it seems as if the pumps get slower and slower as the price of gasoline goes up and up. It just can’t be coincidence. I’m convinced they do this so dumb guys like me won’t realize it costs $3.65 cents a gallon to buy something that has increased in price by more than 20 percent in just the past two or three weeks. But what this really accomplishes is to leave me standing by my truck, getting grumpier by the second, while it takes forever to pump 15 gallons of gas. Did I mention that it’s 27 degrees here tonight and the wind is blowing out of the northwest at 27 mph? It’s not a good night for the neighborhood convenience store to try pulling wool over my eyes. Although, come to think of it, I could have used the added warmth. 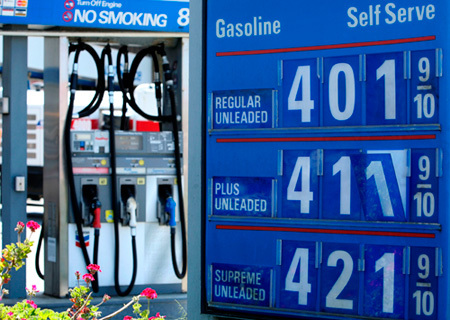 And another thing: Why don’t they just sell it for $3.65 a gallon instead of $3.64 and 9/10 ? Who do they think they are fooling?